I don't like how fast time flies sometimes. Yup, frankly speaking, I have even wished that I had the power to rewind time or just make it stand still. So that I can enjoy the present a little longer and *lump in throat* my kids stay young a little longer. Obviously, I do know that it's impossible but knowing it and accepting it can be two different things, right? Over the years, it's taken me a while but I do realise that while I can never freeze time, I can however try my best to make every moment count and learn to cherish every passing day. In December's "Happiness is...", it's all about treasuring every phase of life and while seeing the kids grow up and witnessing milestones such as their graduation concert or first day of nursery still brings tears to my eyes, I am deeply grateful to be where we are, to know that they are safe and healthy, to look forward to what the future will bring. Looking at our highlights in the last month of 2018, I realised we did quite a lot of things! Well, that in addition to a kid starting primary school, one going to upper primary and another one starting preschool, no wonder I've been feeling so exhausted nowadays. 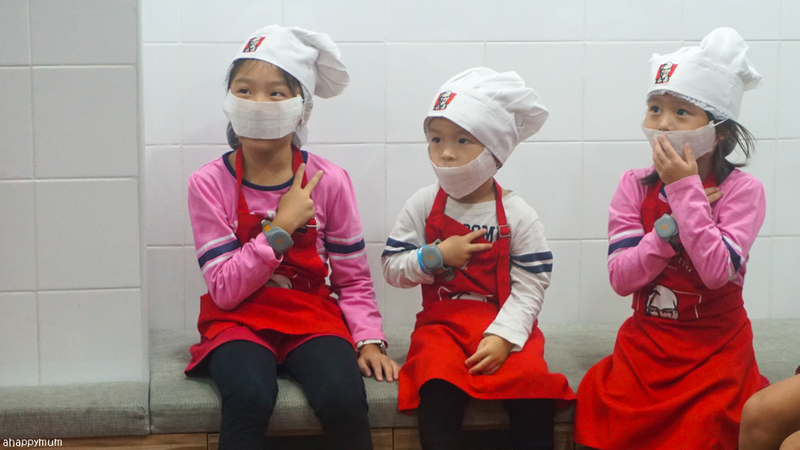 Question: Do you find the school holidays or school days more tiring? I have no questions about it, hands and legs go up for school days because I just prefer to be able to sleep late, wake up late and be able to plan the whole day's happenings and go wherever we want. 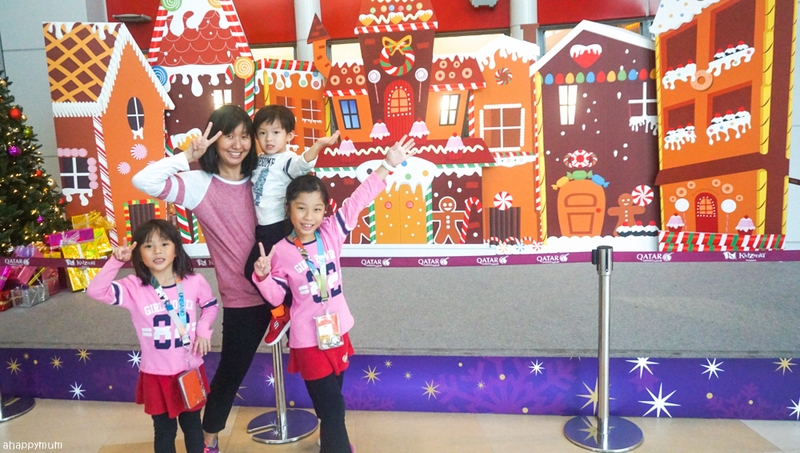 Anyway, we made a trip to KidZania last month to check out their festive event, Wishing Stars, and had a jolly good time there! 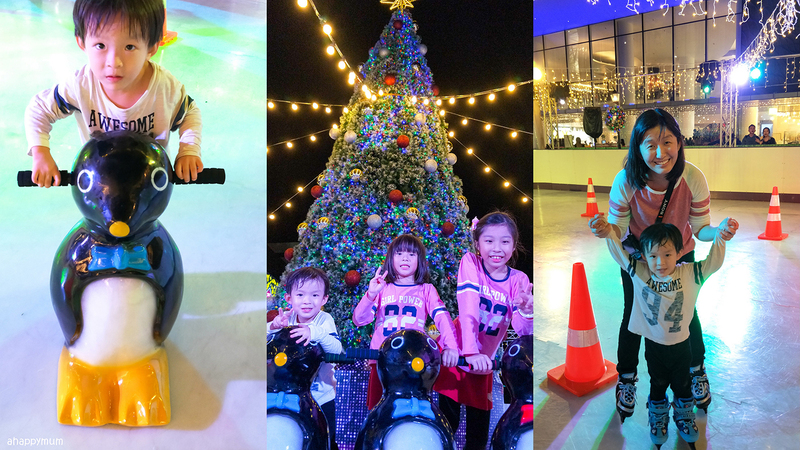 Besides dancing around the city while singing to Christmas carols and being Santa's Elves by donating and wrapping gifts for the needy, the best part was seeing how toddlers are now welcome to join in the activities and are allowed to follow their elder siblings into the stations. 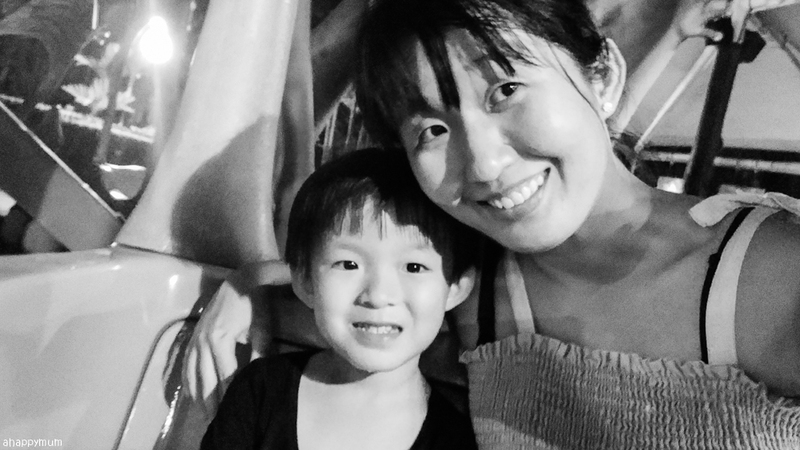 The toddler, for the first time, learnt about ice cream making at Paddle Pop, did his burger at KFC, roasted Bah Kwa and joined in the city parade too! Awww, it made me smile just seeing the three of them sitting side by side and the sisters were, as usual, taking care of him and making sure that he knew what to do. 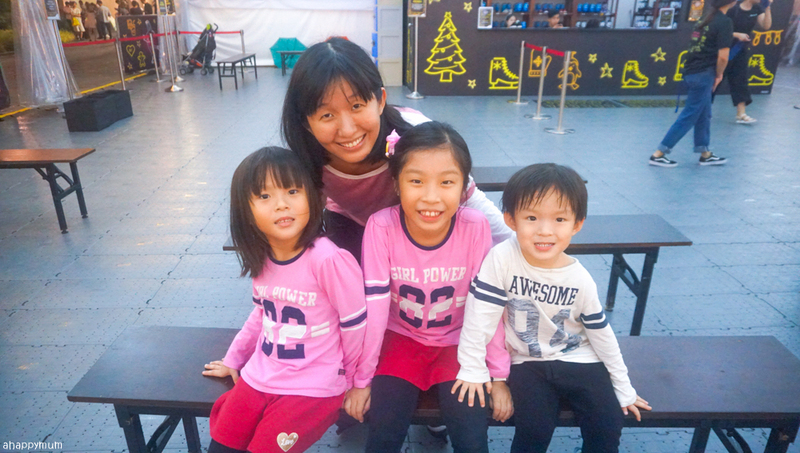 As if a whole out at KidZania wasn't enough, we took the monorail back to VivoCity to have our dinner at the food court before moving on to our night program - SKATING under the moonlight! 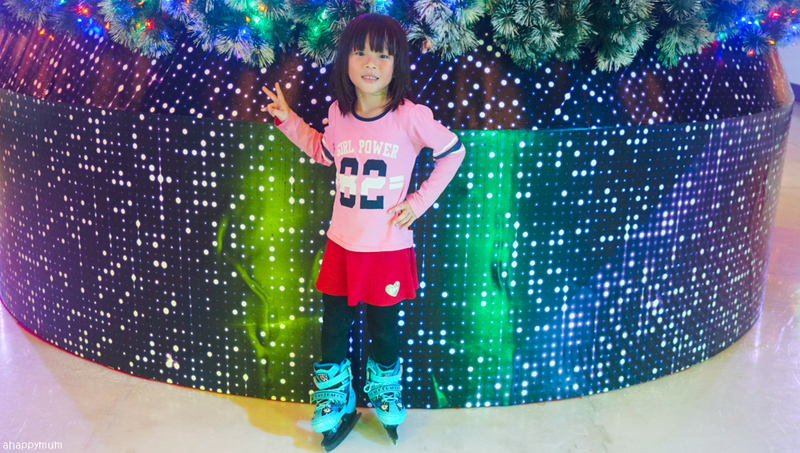 I'm not sure why I believed that I could do it with three kids who don't really know how to skate and since it wasn't real ice but synthetic one, I can only say I was perspiring profusely from start to end lor. Haha, 自找的. All of us were behaving very much like our skating aids - waddling like penguins throughout. The toddler was scared as it was his first time and it took me lots of persuasion - and sweat - to lift him up by his hands and make him trying taking one step at a time. Fwah, very tiring! Nonetheless, thanks to the friendly staff who stepped in to help, we did enjoy the session and managed to take some pictures with the Christmas tree for keepsake too (I was practically lying on the floor on my skates to capture that one shot). I hope the kids will remember this night because these are all fond memories of their growing up and one of those that will stay in my heart for a long time to come. I used to like to go out every day and will bring the kids to any place we can think of, but since we moved into our new house (read more about our renovation, self-drawn furniture designs and Scandinavian theme here), staying at home just to relax, watch a movie, read some books or do some art and craft doesn't seem like a bad idea too. 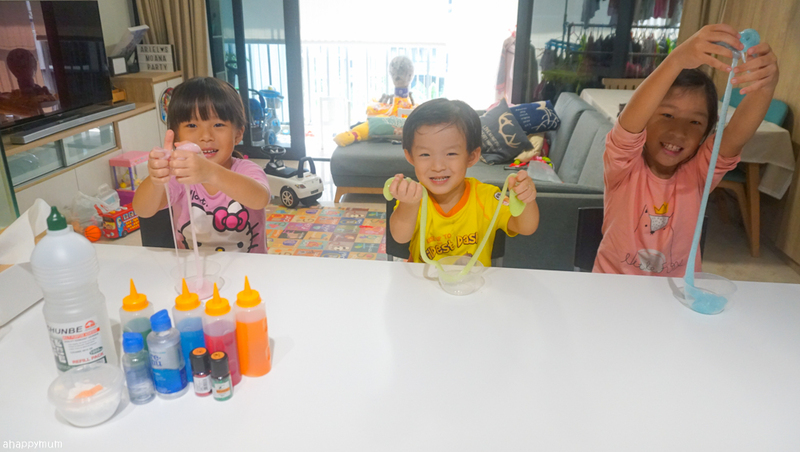 We carved out time and made Christmas cards, wrapped dozens of presents, did a piñata for Ariel's birthday and did DIY slime too! 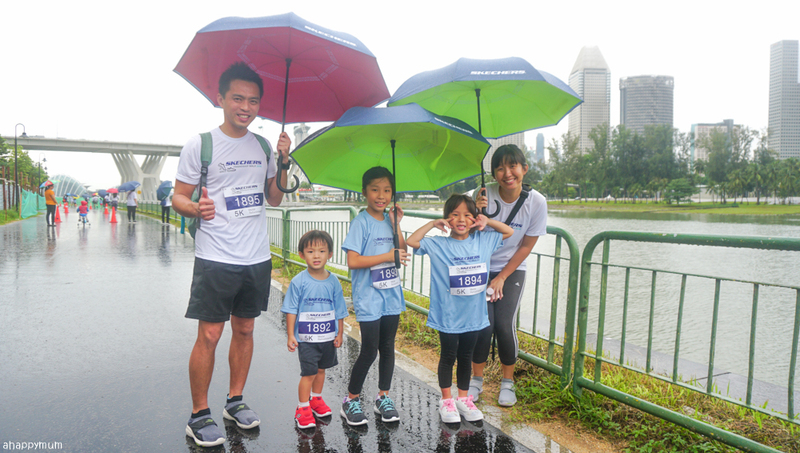 Participating in walks is still one of our favourite things to do as a family and despite the rain, we still completed, and totally enjoyed, our 5km Skechers Friendship Walk. 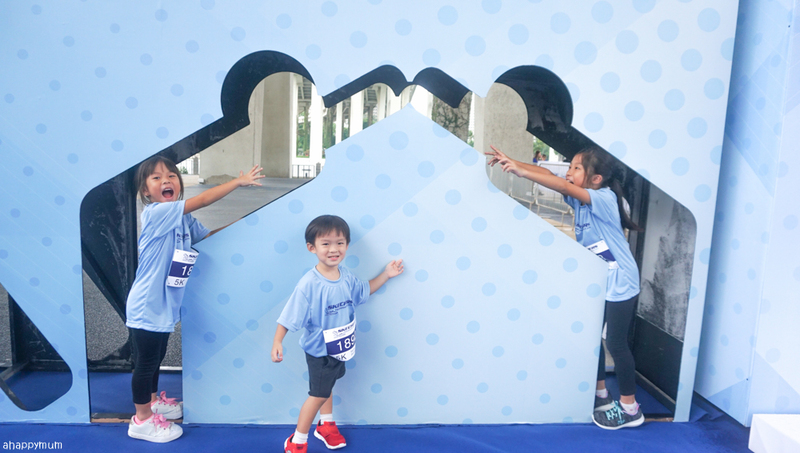 It wasn't about reaching the finishing line first and hurrying through the journey so as to escape the rain; but instead we didn't let it dampen our spirits and took time to enjoy the scenery, smell the blooms and go over every inflatable obstacle despite the mud and slippery surface. It was worthwhile seeing all those smiles on the kids and yes, a reminder to us all to treasure the moments in life, learn to take it slow and stop rushing ourselves. 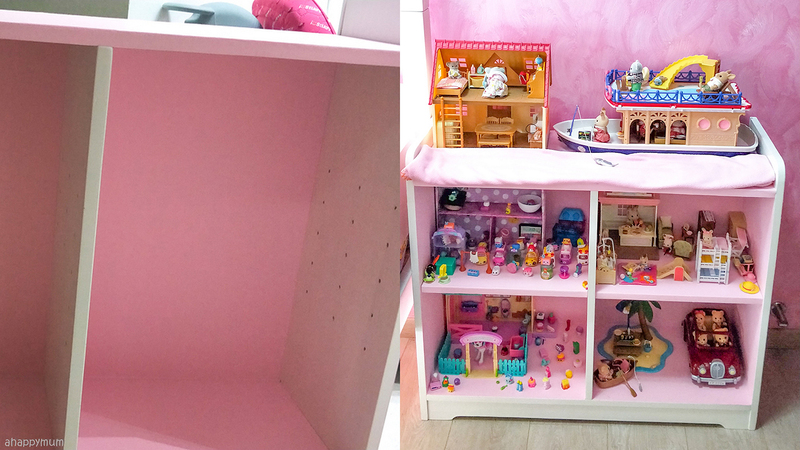 In wanting to do up a display area of the girls' favourite Sylvanian families and Shopkins toys, I bought some pink wallpaper from Taobao and decided to refurbish this shelf that we have so that it can be a house for them. It might look easy but getting the dimensions right and sticking the paper down flat so that there was no air bubbles was a challenge for me and took me the entire day. 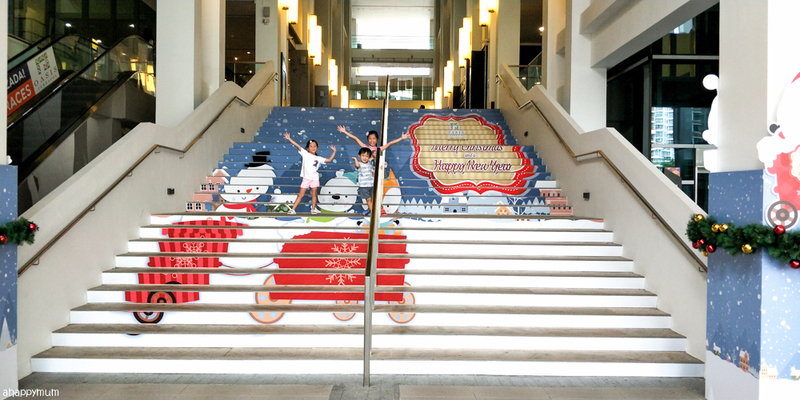 Still, it was nice to see my efforts being appreciated and the end product was just so pretty! Seeing you happy makes me very happy too, my dears. 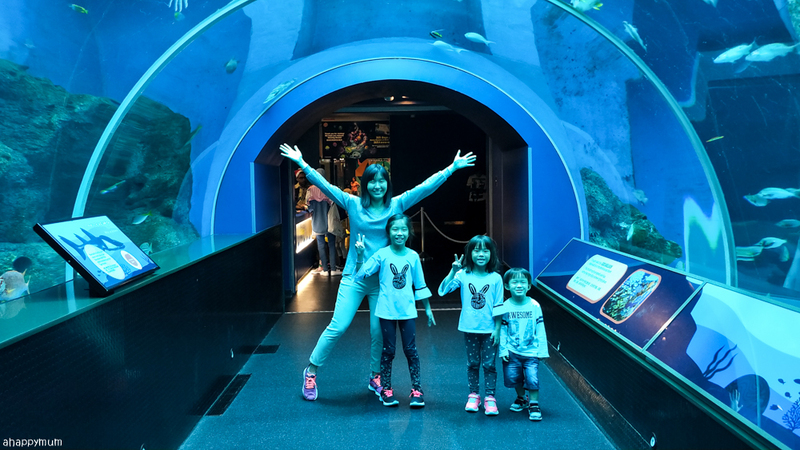 One of our favourite places to visit is the aquarium because the kids love all kinds of animals, including marine life. We were glad to be able to make a trip to S.E.A. Aquarium for a media event and came up close with corals, learnt about how animals give off light and said "Hi" to the famous Scuba Santa too. 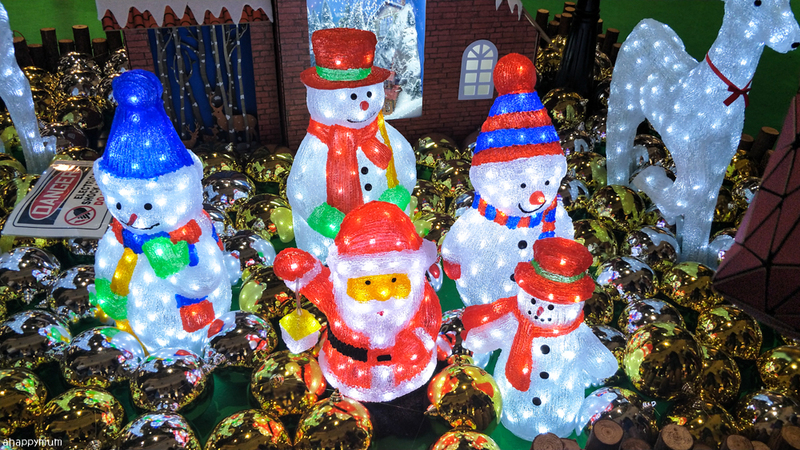 The kids were most thrilled to spot themselves for a few seconds on mainstream TV that very night and in the papers the next day too. Haha. I told you we did a lot during this month, right? So yes, there's still so much more! 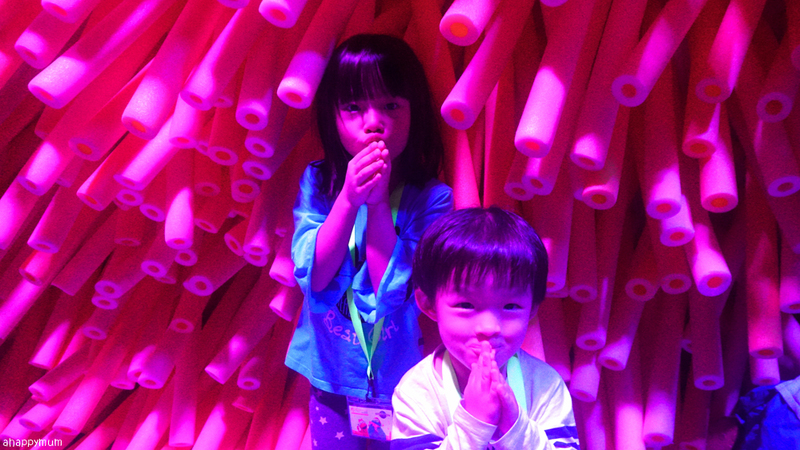 We had a fun Navy Family Day out at USS and stayed till the park closed at 1am! Yup, specially for us, how nice. 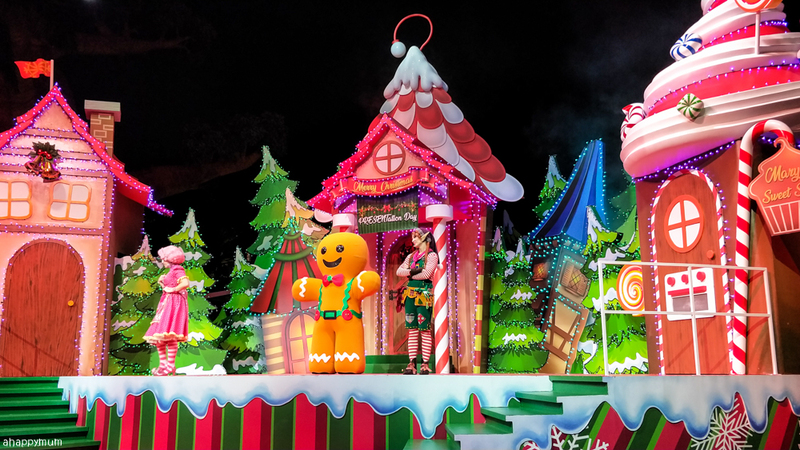 It was so fun going on the rides past midnight because you could just go on it again and again since there weren't many people left. Haha. It was a milestone for the 3yo who finally met the 92cm mark and went on his first Enchanted Airway ride (which freaked him out a little because it was so fast), his first Spaghetti Space Chaser ride (and he surprisingly wasn't scared of the darkness) and his first Canopy Flyer ride (which he loves so much and took it not one, not two but FOUR times)! Yup, I always commented on how this boy is more afraid of rides as compared to his daredevil sisters who rode on roller coasters at the age of two and now I know better. He just needs time to grow and one day, he will surprise me by being braver than I think he is. Instead of comparing, perhaps I should better treasure these moments when he holds my hand tight and leans on my chest for comfort. Mummy will always be here when you need me, my dear. 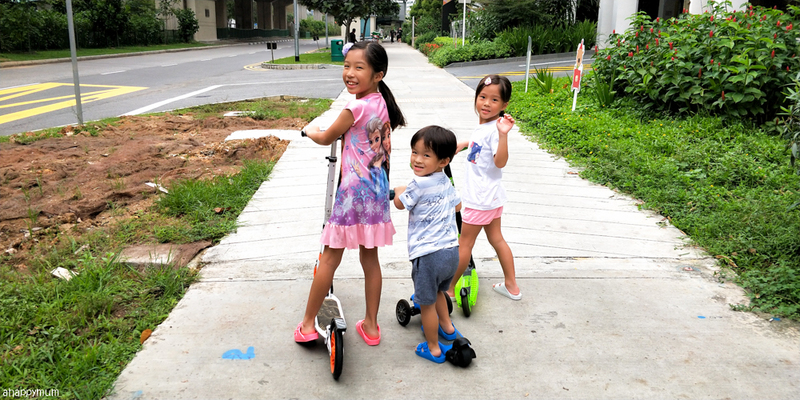 On days when we feel like eating out, we just take our scooters and go! Okay, it's they take their scooters (and my adult one too) and I end up walking or running after them. The littlest one can keep up now and he's always the sweet one who will turn back to look at me and make sure I am keeping up with them. The girls are wise enough to stop before every road crossing and gather everyone before moving again. Yup, I'm pretty strict on safety rules and I nag a lot, but I also give them the leeway to try on their own when they are ready. One day, they won't even need me to follow them so all I can do now is to make sure I train them, prepare them and help them to develop, and when the time comes, let them go. 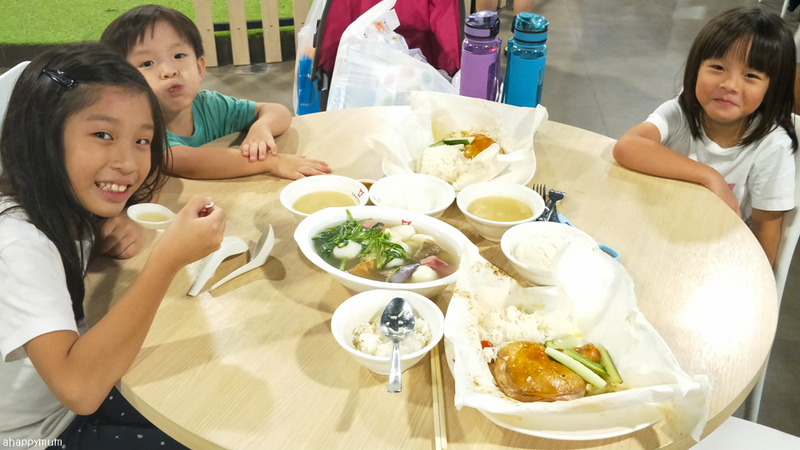 We've been trying to save up and since eating at restaurants can be very expensive when you have three kids, we now dine at food courts more often. 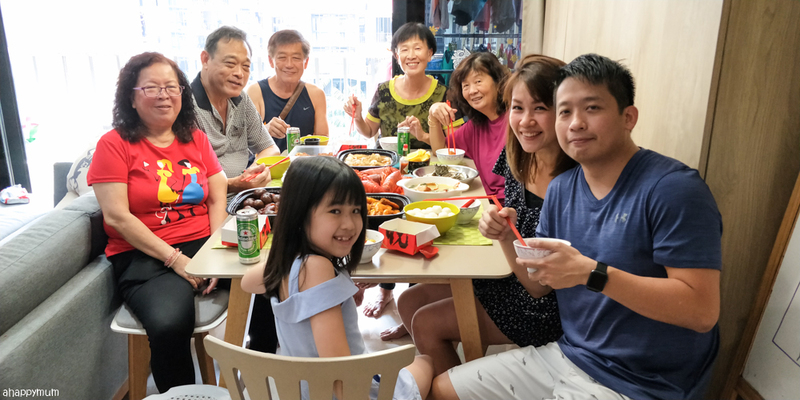 As always, it's not easy finding a seat at the peak hours and I can never be sure if the kids will end up bickering or doing something silly when I am away buying the food. Again, I think it boils down to faith and hopefully they remember all that I've taught them. So far, we've been doing it quite well and they are quite accustomed to it too so they don't complain, and I do enjoy eating out with this bunch. 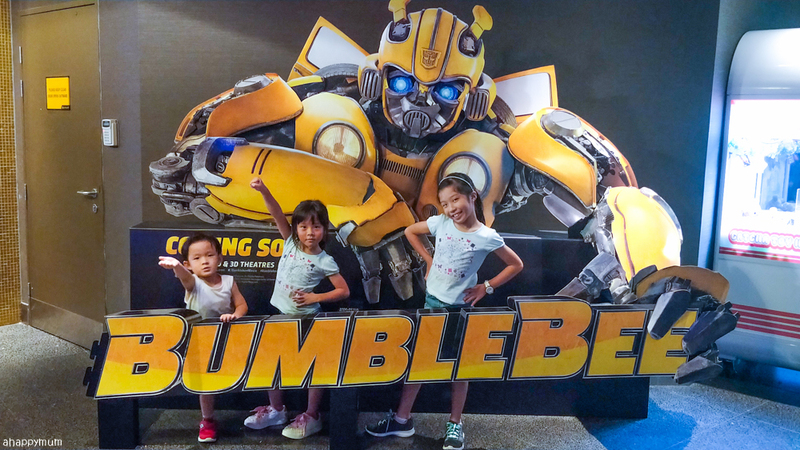 Since we heard good reviews about the Bumblebee movie, we took time off to go watch it on one weekend and yes, it's as good as they say! The show didn't disappoint at all and all of us (maybe except the boy who fell asleep halfway) loved the touching story and the never-say-die spirit of Bumblebee. 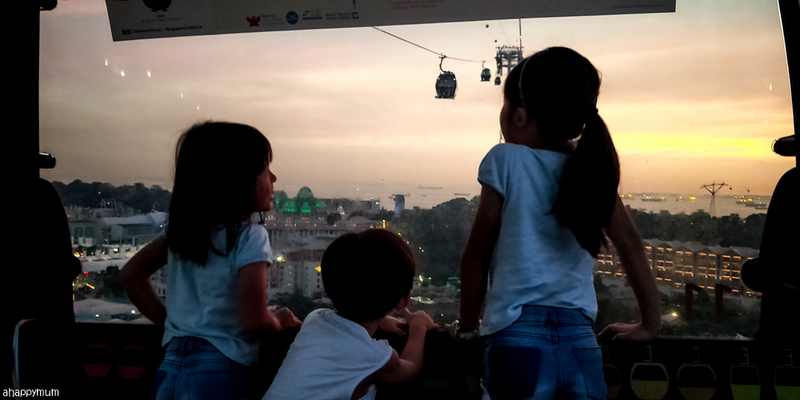 On the day the boy turned three, we brought him for something he loves to do - cable car rides! 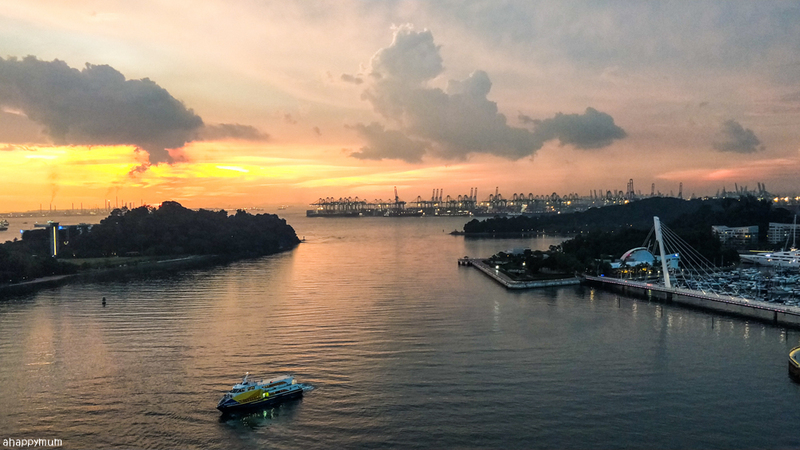 It was quite a sight watching the sunset from where we were and it's nice to see how happy they are when we are high up in the sky. These moments of the family being together are so precious to me and I do cherish them more than I can say. 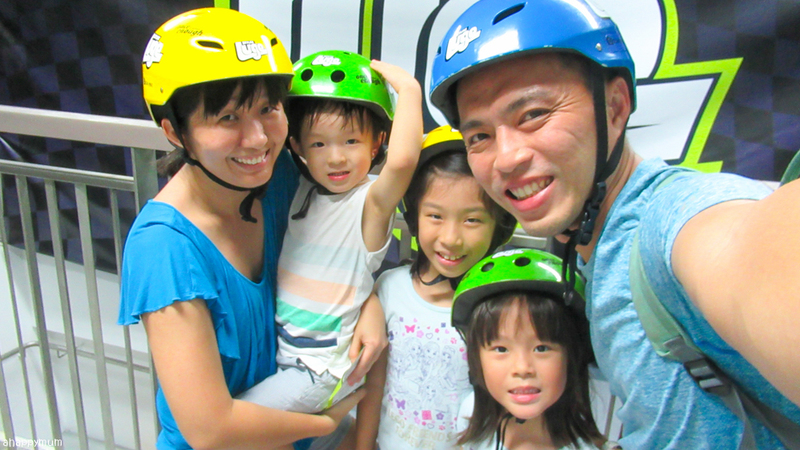 To end off his special day, we went for a ride at the Luge and it was our first time doing it at night! We had four carts between us since we bought the family package and that meant Ariel did it for the first time on her own. She was a pro at it and didn't even need us to guide her much, typical of a secondborn. Haha. As for the birthday boy, he was with me for the first ride downhill and with Papa for the second. Fair fair mah. It was drizzling during our second leg but we still decided to continue and finish it all. And I'm happy we did. 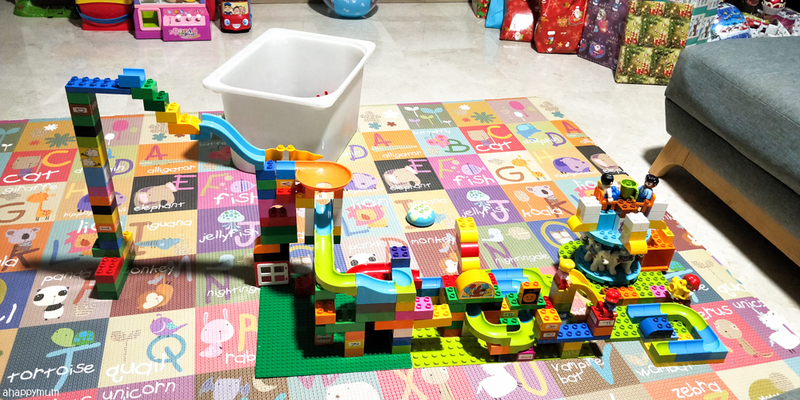 This marble run toy was a present I got for the boy and since it happens to fit well with our Duplo blocks, we had so much fun building and re-building it! 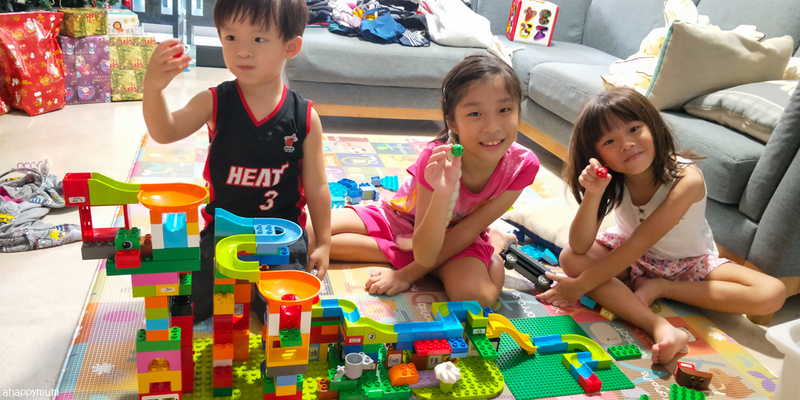 Every time I finished a structure, the big girl would say "This is the BEST marble run EVER" and we enjoyed watching our marbles go in circles, zoom down slides and even fly past obstacles too. 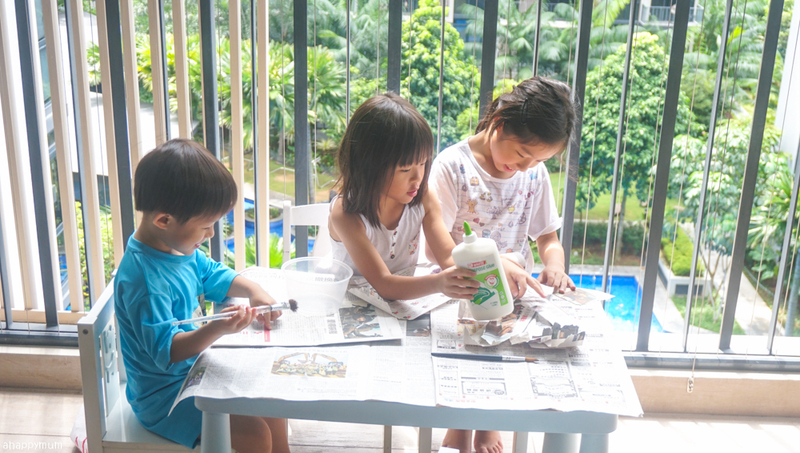 It's a great way for them to be creative and a way for me to bond with these kids too. 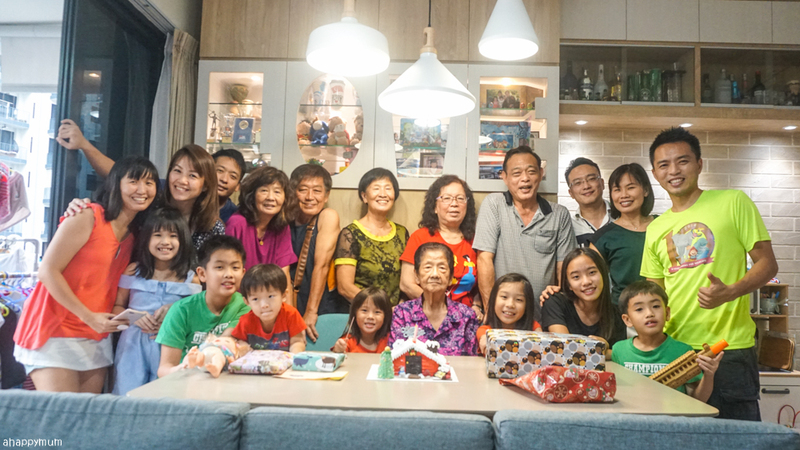 December, being the season of giving, was a time for us to gather with our loved ones too. We hosted a gathering on Christmas day and had our families over to have a good time as we tucked into yummy food like turkey and log cake. Of course, all the kids received presents too but to make it more fun, we had a gift exchange for the adults too and drew lots to determine the recipients. Yup, even my grandma, aunt, parents and in-laws joined in the fun too. I also came up with the idea to play Bingo and it was a game that was so much fun for everyone, from kids to great grandparents. Everyone had to purchase a Bingo sheet for $2 and the winner takes the whole sum. Haha. We played a total of three rounds and would have wanted more if not for the fact that I ran out of Bingo sheets. 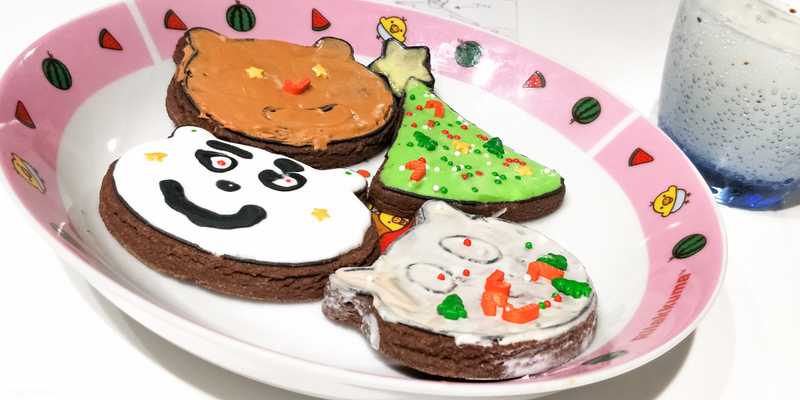 The Christmas magic is still very much alive in our house and on Christmas Eve, the kids and I decorated some cookies and left a glass of milk on our dining table. Did Santa come in the end? You bet. He ate half of the cookies, drank the whole glass of milk and yes, left presents under our Christmas tree - much to the delight of the kids. 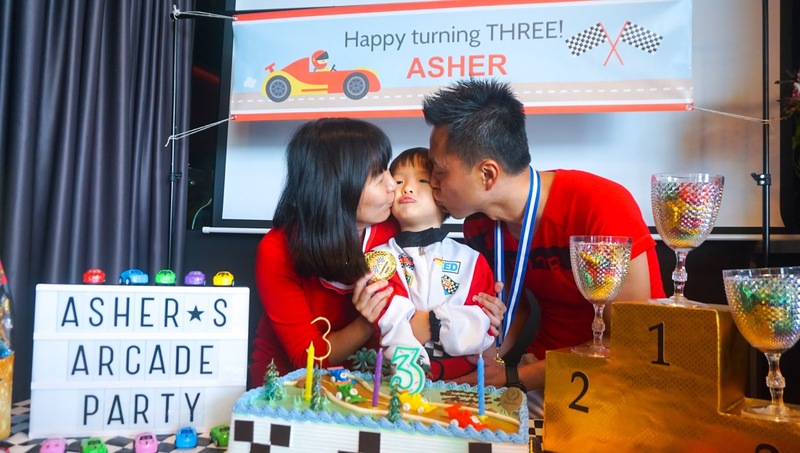 As you know by now, the year end is always packed with birthday celebrations for us and in December, we celebrated the little sister turning six and the boy turning three. Yup, these two are born just two days away from each other! 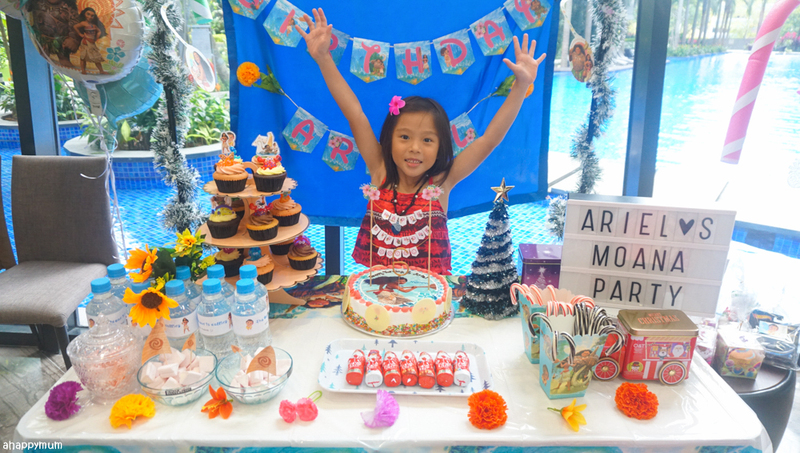 Read about Ariel's Moana party here and Asher's Arcade party here. Yup, with the last party over for 2018, I can finally take a breather for now from all the party planning. 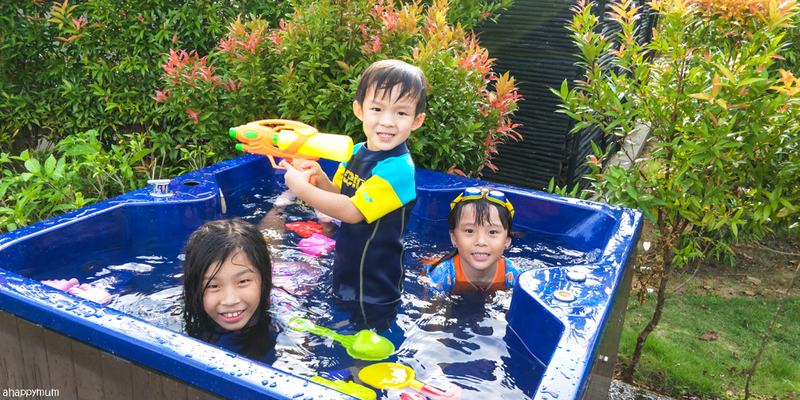 You know, planning for their parties is also a way for me to celebrate their milestones and let them know how much I love them, and for me personally, it's a reminder on how fast they are growing and how I need to not count the years but make the years count. 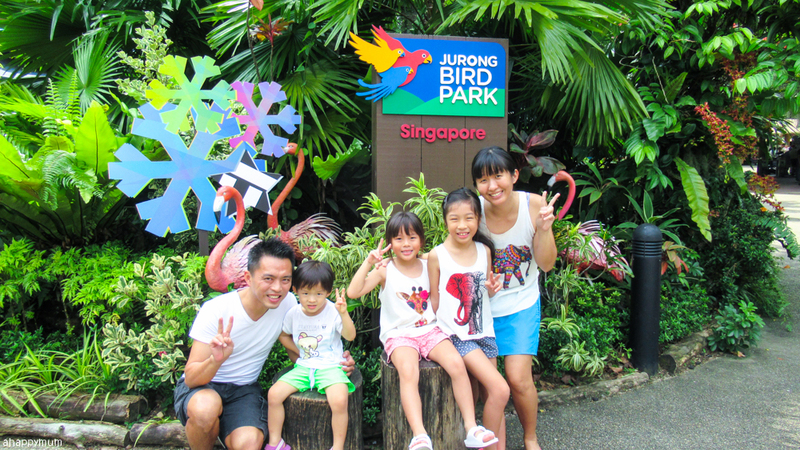 On Ariel's actual birthday, it happened to be a Saturday so she requested for a family outing to the Bird Park. It's been a while since we went so we were only happy to oblige now that we have the 4-park pass. 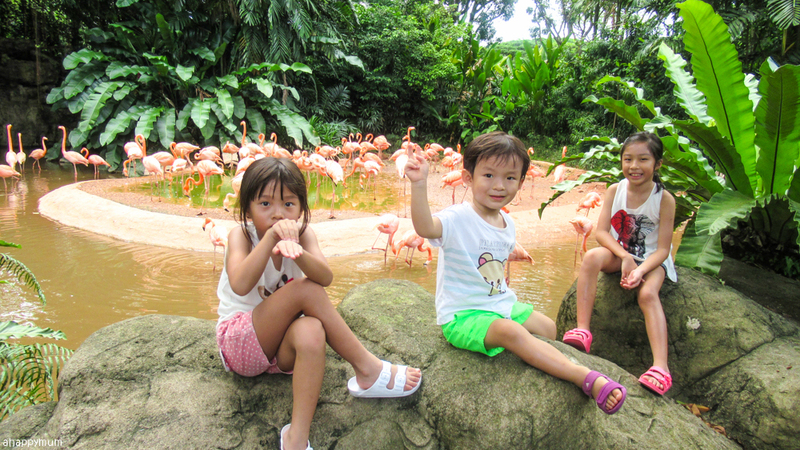 We brought along a change of clothes for their water play and thought we would just walk around, feed the flamingos and maybe lory birds but it ended up we did that and more! 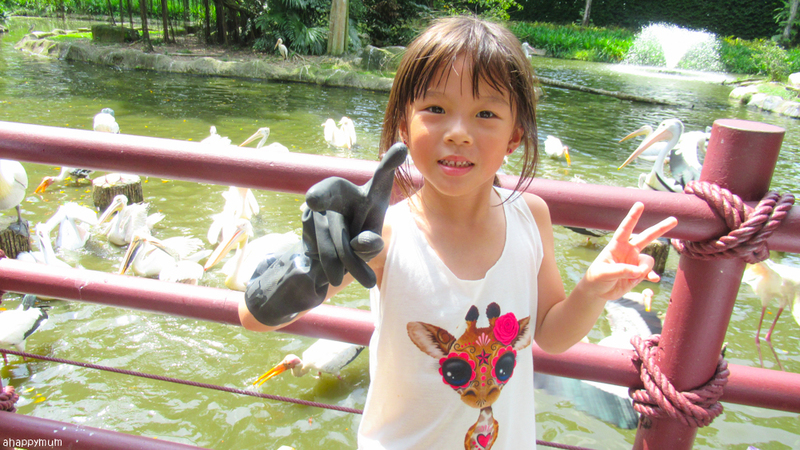 Firstly, we fed fish to the pelicans! 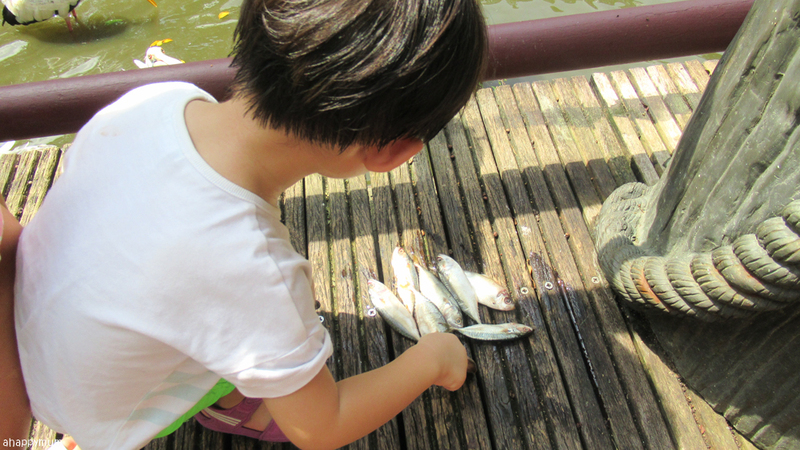 Yup, these were fishy and a tad bloody but it didn't stop the kids from taking the fish up one by one to throw to the birds. Asher even did it without a rubber glove because it was oversized for him. Fwah, this boy is really getting bolder by the day. Check out the big smile on the birthday girl! 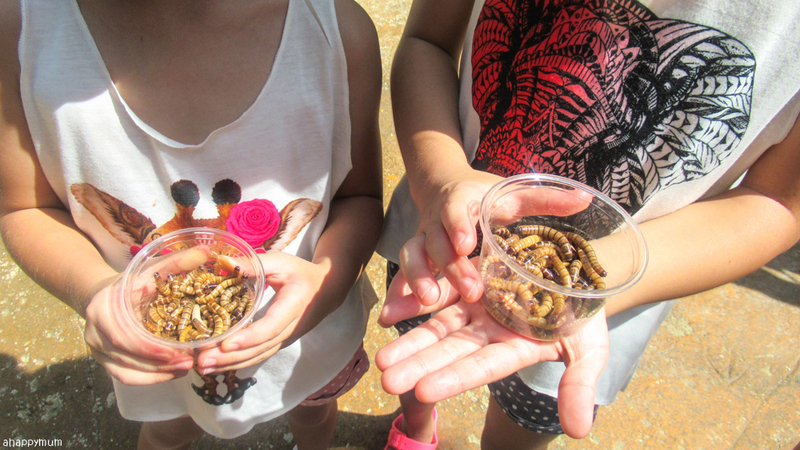 Secondly, the girls also fed the birds with LIVE mealworms for the first time. Yup, I always get goosebumps looking at these wriggly things but these plucky girls took only a while to overcome their fears and were soon taking them one by one to feed the birds. Gosh, that courage and love of creepy crawlies definitely didn't come from me. Haha. 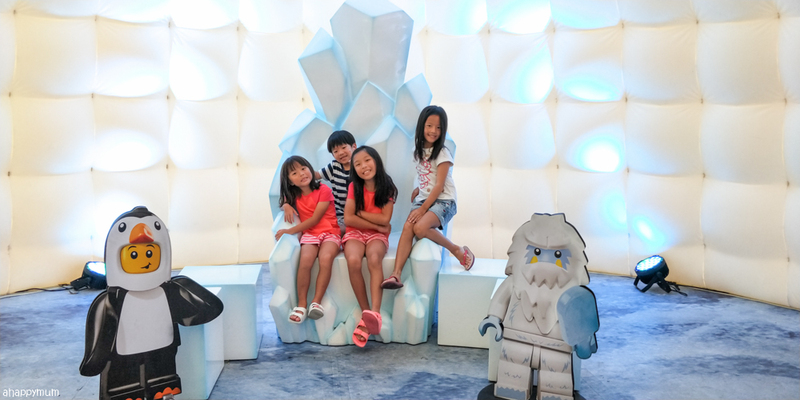 Well, this experience will go into their growing up videos for sure, which reminds me, I have so many more to do for each of them! 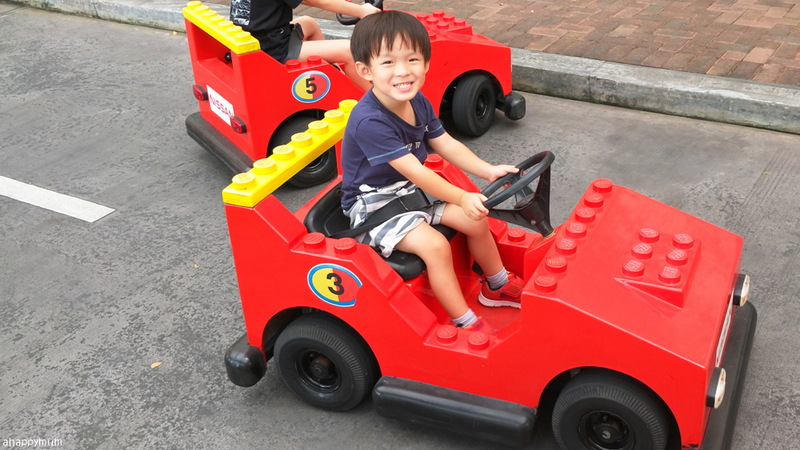 Just before the year ended, we also managed to squeeze in a short holiday to LEGOLAND. 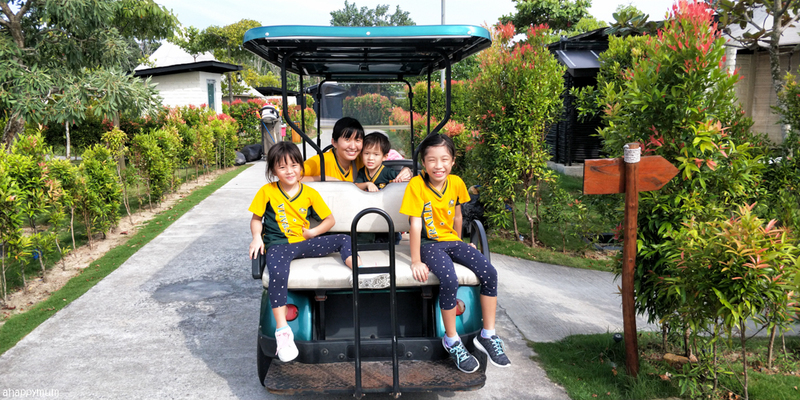 It was just a 3D2N stay but did much to rejuvenate our souls and the kids were of course happy to get to play with their friends and go on ride after ride. 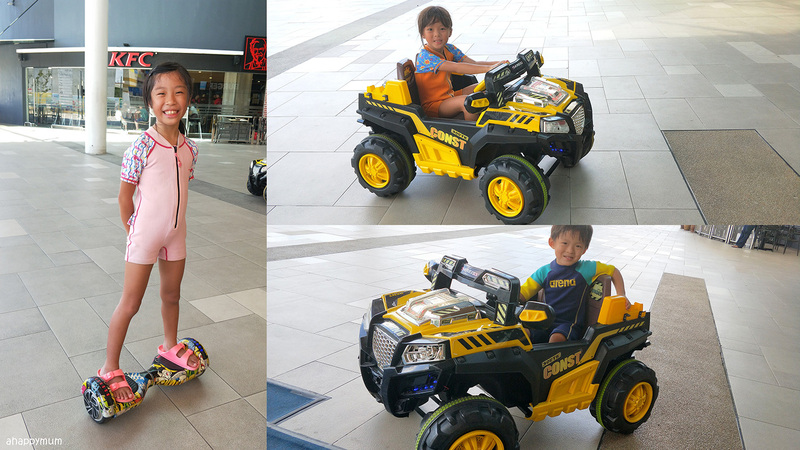 While the younger ones drove a jeep, the eldest one had the chance to try out hoverboarding for the first time. She did it pretty well and made it look quite easy so I thought I would give it a try. And whaddaya know, within minutes, I suffered a bad fall when the board slipped forward and it happened so fast that my legs were flung up and I fell flat on my back. Arrrgghh. The tailbone was likely sprained, maybe fractured, because I couldn't get up after, couldn't ride on a baby slide and couldn't bend over properly for weeks. Haha. Oh well, I definitely learnt my lesson, okay. 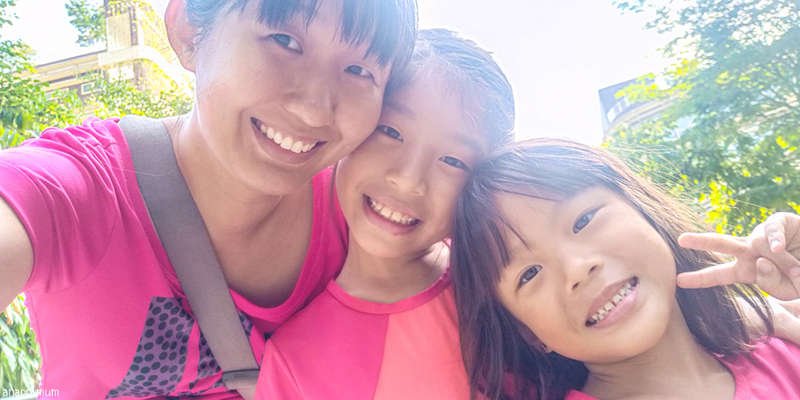 The best highlight of December had to be our trip to Canopi in Bintan and we had so much fun there! Well, I promise to write about it soon but give me some time to sort out the pictures and videos I took. 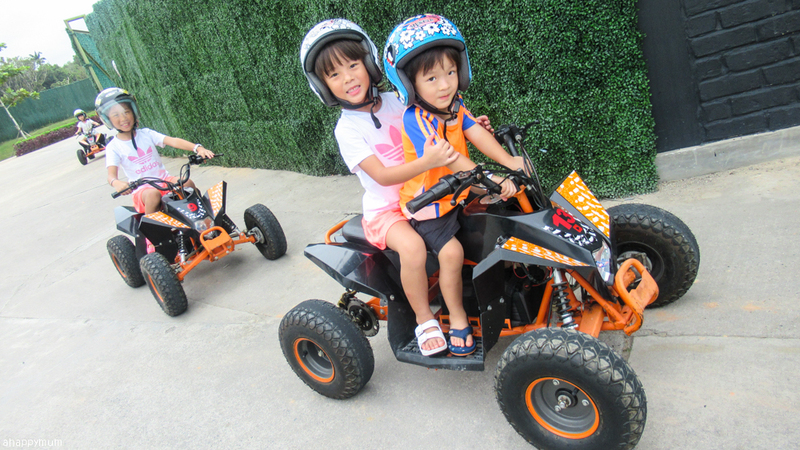 It's definitely a family-friendly paradise filled with activities that are kid-friendly and we will love to go back there again someday! I guess that marks our fun-filled month and it was a pretty awesome way to end off the year. Come 2019, I hope to remind myself to make the days count and do my best to treasure all the little moments. Seeing the kids grow up will always make me feel emotional but I will embrace the inevitable passing of time and cherish every phase of their lives while I can. I hope 2019 will be a great year for all of you too!